Rock Boshers DX: Director’s Cut is an arcade adventure game that’s already done the rounds on most other platforms over the past few years. 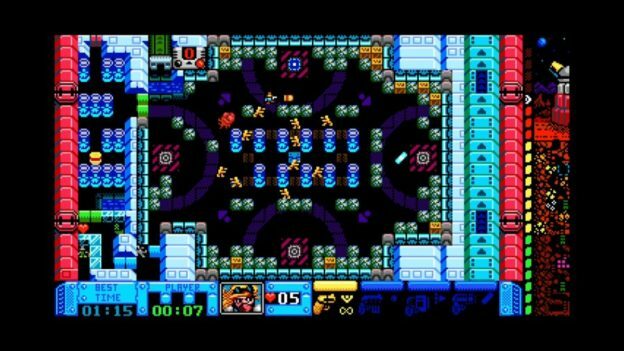 Is there room for another retro-inspired game in the Switch’s expanding library? 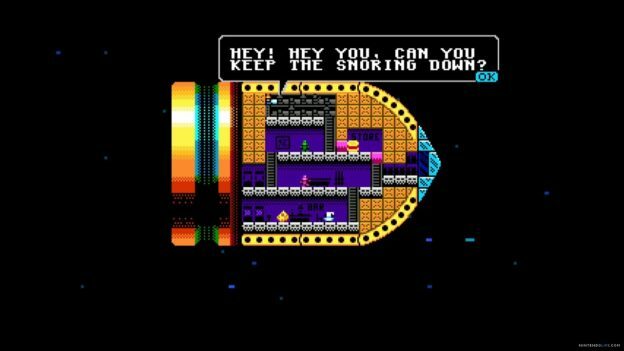 If something in the vein of Commander Keen meets Lode Runner is up your alley, then the answer is a resounding ‘yes’. Rock Boshers is unabashedly retro, but it strikes its own chord. There are many subtle callbacks to the classics of yesteryear, but it’s never on the nose. 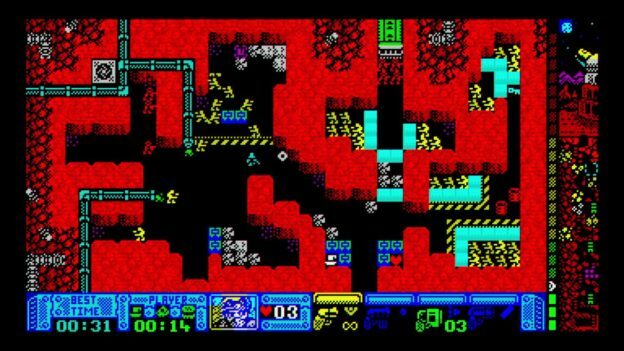 Even though the shooting elements remind me of Commander Keen, and the rock bashing is reminiscent of Lode Runner or Dig Dug, the game always feels fresh and inspired. The story itself is part of that freshness, serving up a steampunk tale involving a bored Queen. The premise involves Queen Victoria setting off into space to explore Mars, incognito. The mission goes awry when she realises travellers are being used as slaves to mine the planet – naturally, it’s up to our frisky heroine to rescue everyone. Not forgetting tea and scones along the way. The graphics are gloriously 8-bit. This is absolutely retro done right, with simple level designs that add new elements each time. 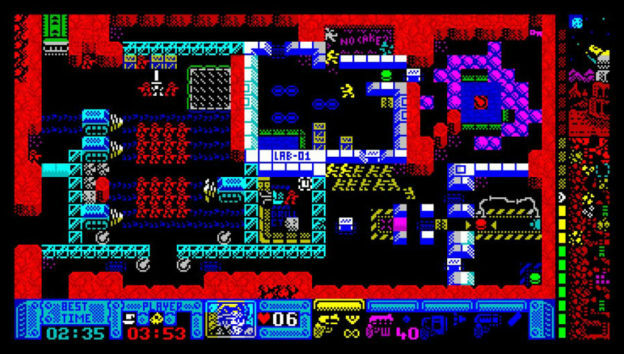 Each screen presents an entry point, enemies to dodge and an exit. Colors are used very effectively to highlight different elements, such as keys, enemies and rocks. Every level builds on the previous one as you proceed, becoming more and more creative. There are keys to find, weapons to upgrade and collectibles to, well, collect. The enemies are many and varied, from soldiers with guns to relentless zombies that keep spawning from… somewhere. There are other traps, pitfalls and enemies along the way, as well as puzzles to solve and, of course, rocks to smash. It’s extremely fun to play. Tying in with the graphics is the deliciously chiptune soundtrack. Again, it’s done in a way that adds to the overall retro feel of the game. It’s catchy, upbeat and – despite being a little on the repetitive side – is perfect background music for these tough-as-nails levels. Yes, this game is hard. The difficulty ramps up fairly quickly, but the “just one more” mentality is equally high. It’s an addictive game, only taking a minute or two each time you play. It’s certainly not difficult to pick up and play at any time, and is perfect for gaming on the go. There are 24 levels split over 3 segments. You’ll have to beat a level to move on to the next, which is perhaps the only downside – it can be frustrating when you’re stuck on a particularly hard level. The game does save, allowing you to retry as many times as you like. There are incentives to encourage replay too. Each level has several collectibles and gathering these unlocks arcade games. There’s also speed to consider. Each level is timed, with a “best time” to aim for. I must admit that I found it very difficult to get below par though. My only other feedback would be that I just want MORE. With two-player co-op, online leaderboard, maybe even a level editor, I can envisage a much bigger sequel. As it stands, at only $6.99, it is already great value in its current format. 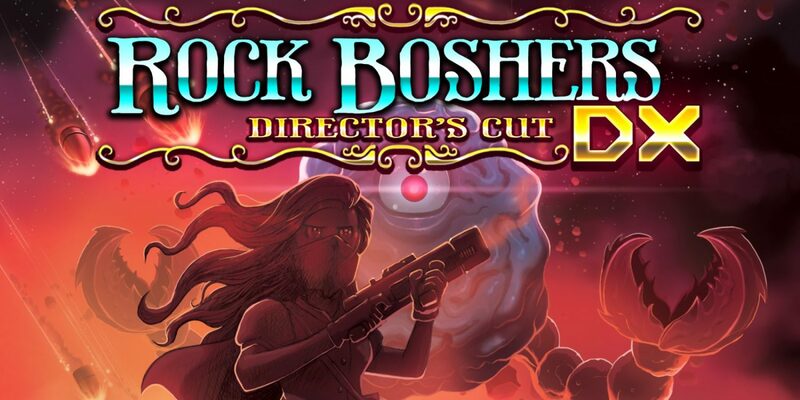 Overall, Rock Boshers DX: Director’s Cut is a fun and challenging romp through the Mars underworld. This is retro done right, balancing familiarity and freshness, with excellent visuals and soundtrack. The high difficulty may put off some players, but if you’re a glutton for punishment, there’s plenty to keep you going for hours. Rock Boshers is retro done right. It balances familiarity and freshness, with excellent visuals and soundtrack. The high difficulty may put off some players, but if you’re a glutton for punishment, there’s plenty to keep you going for hours.